Ship from Hongkong. 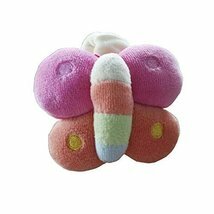 This stuffed butterfly wrist band is perfect for baby around 0-3 years old. Made of pure cotton and lovely design is popular with moms and babies. With BB ring when baby shake its hand.